Nominations for the 18th annual "Jack Dalton Community Service Award" are being accepted through January 21, 2019 at 1:00 p.m.. The award will go to the Henry County resident who best demonstrates the exemplary community service that marked Dalton's years of public service. Dalton served as a member of the Henry County Board of Supervisors for more than 24 years, and was serving as the Board Chairman at the time of his death on May 24, 2000. Nominations are due by January 21, 2019 at 1:00 p.m.. The award's recipient will be recognized at the Board of Supervisors' meeting in January. 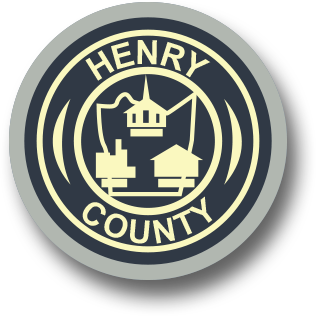 Nominations should be based on the candidates' personal volunteer efforts and active involvement in helping promote the quality of life in Henry County. Nominees must have primarily performed the service for which they are being nominated within the calendar year 2018. All 2018 nominations must be submitted online or using the nomination form below and must be received in the County Administrator's Office by 1:00 p.m. on January 21, 2019. Questions about the "Jack Dalton Community Service" award can be directed to the members of the Board of Supervisors or to the County Administrator's Office by calling (276) 634-4601. 2014 - J. Smith Chaney, Jr.